HÀ NỘI – Internet connectivity will slow down in the coming days as the AAG cable connecting South East Asia and the United States has broken again, Viettel and VNPT said today. The telecom groups said the Hong Kong line of the trans-Pacific Asia-America Gateway broke down at 5.39pm yesterday, and a repair schedule was yet to be confirmed. Director of VNPT’s IDC Data Centre in the southern region Đinh Như Khoa told online newspaper zing.vn that it would take more time than usual to repair the cable line due to Typhoon Nida. 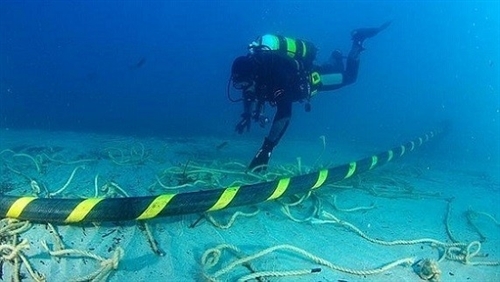 “The cable repair ship cannot reach the location where the line has been damaged,” he said. Typhoon Nida yesterday hit Hong Kong, forcing the city to temporarily shut down as heavy rain and strong winds battered the city. The AAG monitoring committee is looking into the cause of the line rupture. Earlier in June, the 20,000km-long AAG cable line broke down for six days, severely affecting Internet connectivity in Việt Nam.